SKU: brwp4. 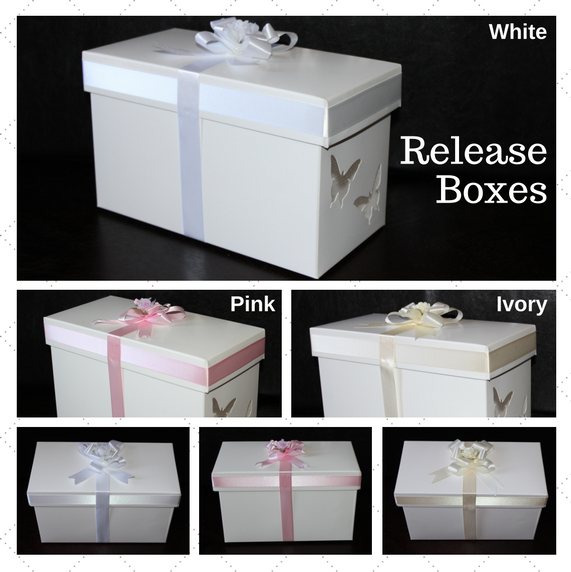 Categories: Individual and Premium Release, Wedding Release. 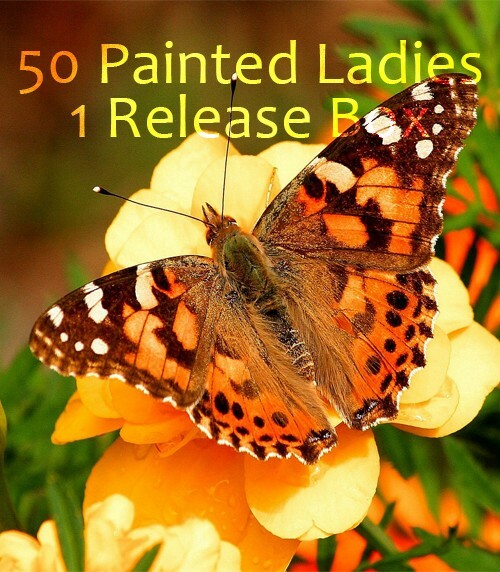 Tags: Painted Ladies, Wedding Release. 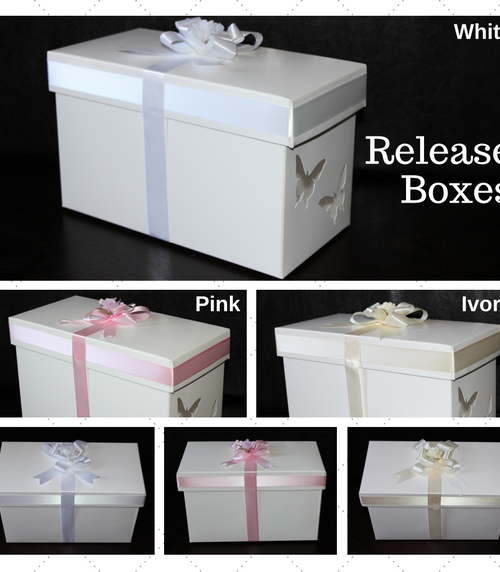 Our Butterfly Release Wedding Package #4 comes with 50 Painted Lady Butterflies in 1 release box (white, pink, or ivory decoration) ready to fly. Tuesday - Saturday Releases: $42.00 for S&H (Priority Overnight Delivery). Sunday Releases: Add $16.50 to shipping for Saturday deliveries. Butterflies are shipped to arrive 1 day prior to the day of the event. Please be sure someone is available to sign for the package when it arrives. It will be necessary to provide a frozen ice pack to replace the one that’s in the box upon arrival. We cannot guarantee a successful release if you release the butterflies in inclement weather, or if your release day temperature is below 70 degrees. WE RECOMMEND THAT YOU DO NOT RELEASE THEM IN THE RAIN. An alternate plan is to display the butterflies as a centerpiece. Simply cover a basket with tulle, tie it with a ribbon and use it as a display cage. The butterflies can live out their lives in the basket, or you can release them on a nicer day. See feeding instructions on using a designer display cage, or release box. THE RELEASE MUST BE MADE DURING DAYLIGHT HOURS AND MUST BE OUTDOORS. Due to unforeseen circumstances, should any butterflies arrive deceased, please call us within 24 hours letting us know. We may ask for a few pictures to verify proof. We ship approximately 2-5 extra butterflies to compensate for potential casualties. A full refund will be issued if the order is cancelled a minimum of 30 days prior to the event. Cancellation 29 to 8 days before the event will result in a 50% refund. Cancellation 7 days or less before the event will result in no refund. We do not refund monies due to inclement weather. If you have any questions regarding your order please contact us M-F 9:00 A.M. to 4:30 P.M. Eastern time at 407-366-8299. Shipping Included! Limited Time. Order by 3/31/19. 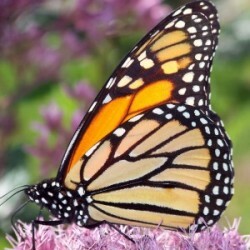 Monarch butterflies are only available during the months of April – September. 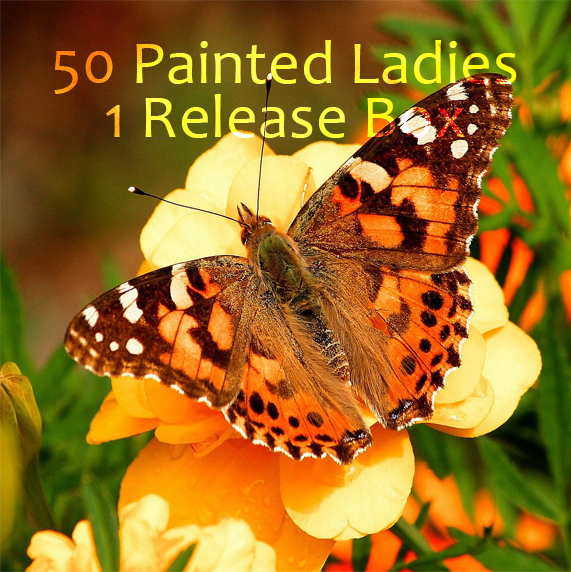 Need help planning your butterfly release? We’re a proud member of the IBBA since 1999. Create a unique experience with butterflies!